Need personalised email but not the features of Microsoft Exchange? Cloud Exchange Email allows you to access your emails from any device and provides your organisation with a professional image. It’s also really easy to set up! Speak to our experts at 1300 736 600 to learn how your business can benefit from email hosting. Get personalized exchange email for your organisation and present your company in a professional way. Manage your contacts, calendar and tasks in a central location and take them with you where ever you go. No more Gmail, Yahoo or Hotmail accounts. Your exchange email can present a professional image with your own domain name. No need to store contacts on your phone and risk losing them. Now you can, manage them in one location in the cloud and access them from any of your devices. When you switch to a new phone, your contacts will be downloaded in minutes. Manage your day with a calendar linked to your exchange email. Share it with your team. It’s time to throw away the post it notes and manage your tasks from one location, accessible from anywhere. Have you lost your phone or does your laptop need replacing? 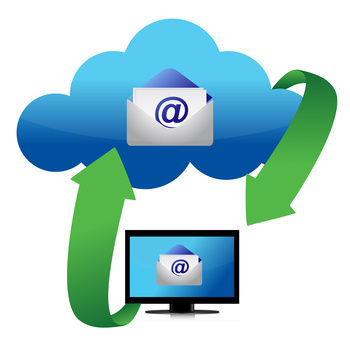 Your data is stored on our exchange email server and it takes minutes to configure and start synchronising your data to your new device. Access your hosted email, calendar, contacts and tasks from any web browser or mobile device. We support Outlook, Thunderbird, Entourage + many more platforms. Take advantage of the cloud and access your email from any device that has an internet connection including your PC, smart phone or tablet. You can configure your exchange email on your favourite client Outlook, Thunderbird, Entourage plus many more. You can also forward emails to Gmail, Yahoo or Hotmail clients. Free push and ActiveSync for your mobile devices on iPhone, Android, Windows Mobile and Blackberry. Your personalised email account will be up and running in no time. If you have any problems we are here to support you. We will guide you through the setup process so you are up and running no time. Manage your mailbox settings easily with the intuitive control panel. We provide you with 24×7 phone, email and chat support. We’re here when you need us. We provide you with online support resources for quick answers to common questions. Our team members provide you with professional advice on your email options without the pressure of lock in contracts. Our customers love our service so we don’t need to lock them in. Pay as you go with no long-term contracts. We provide you with abundant space so that you don’t have to worry about deleting your emails. Like you, we run our business online and can provide you with advice on your email related questions. We can assist you with all your online needs. Save money and manage your services more easily by centralising them with one company – us!